Most visitors to Cambodia head straight for the temples of Siem Reap or beaches of Sihanoukville. 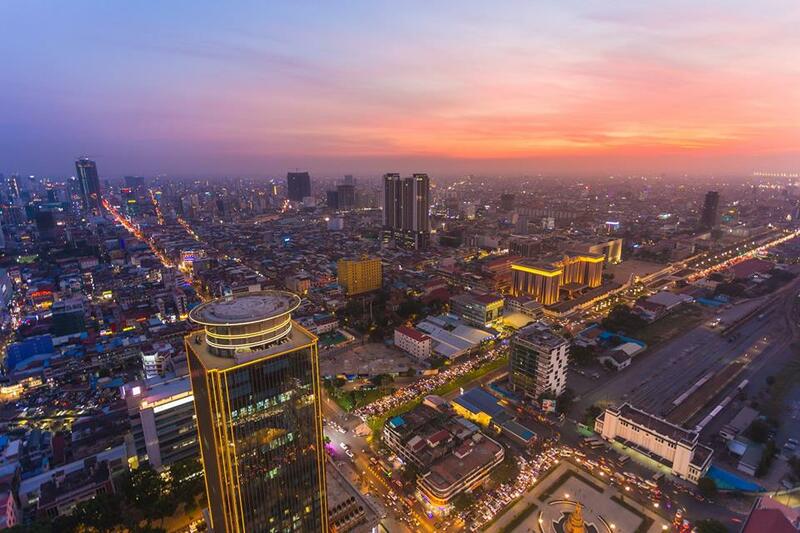 But make for the capital of Phnom Penh and you’ll find an array of exquisite hotels that rival many five-star establishments across the world. Here are five Phnom Penh hotels to check into next time you’re in Cambodia. 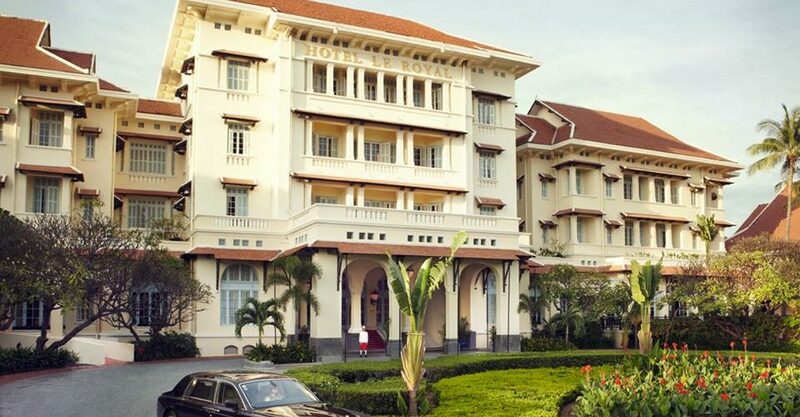 You can’t talk Phnom Penh hotels without mentioning this Grande Dame property. 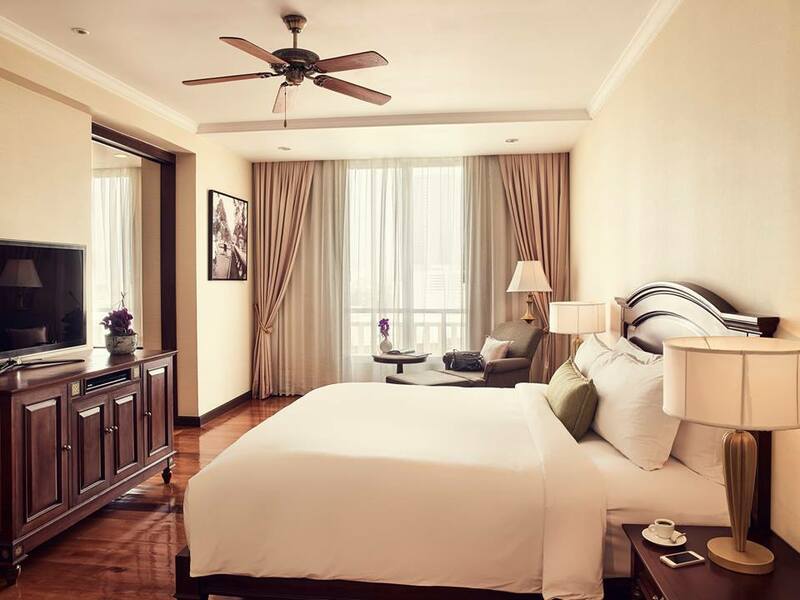 Located in the leafy diplomatic quarter with the city’s best within easy reach, this is the premier address in Phnom Penh. Since opening in 1929, this hotel has hosted celebrities, writers, politicians and everyone in between — the Personality Suites are even named for guests like Jackie O and Somerset Maugham. Visually, this grand hotel fuses Khmer elements with Art Deco style that stay true to its history, but the superb service adds a certain feeling of a bygone era. The Elephant Bar is a go-to for afternoon tea and happy hour, while the elegant Restaurant Le Royal dishes up Royal Khmer cuisine — the only purveyor in the city — and is one of the most exquisite dining destinations in town. Of course, there’s also two outdoor pools to lounge by, and a high-end Raffles Spa for pampering treatments. Boasting one of the best pools in town, Plantation is an oasis of a boutique hotel and consistently makes the cut for one of the best Phnom Penh hotels. The location’s great and within easy access to everything you could want, but you’ll be hard-pressed to leave. Buildings are 1930s originals and have been lovingly restored by experts, lending a nice blend of history and contemporary styles. 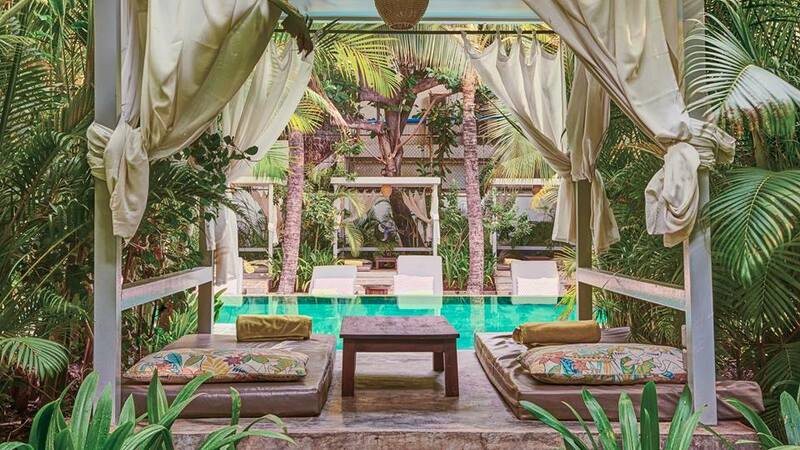 Rooms are warm, cozy and comfortable, but get outside for the pool fringed by greenery, cabanas and sunloungers, or the recently-opened spa that specializes in pampering treatments. If you’re hungry, the Pergola restaurant is a destination in and of itself with creative dishes and a great-value three-course set menu. A touch of elegant French je ne sais quoi in the heart of the city, this stands out as one of the best Phnom Penh hotels for its unique combination of location (by the river) service and offerings. 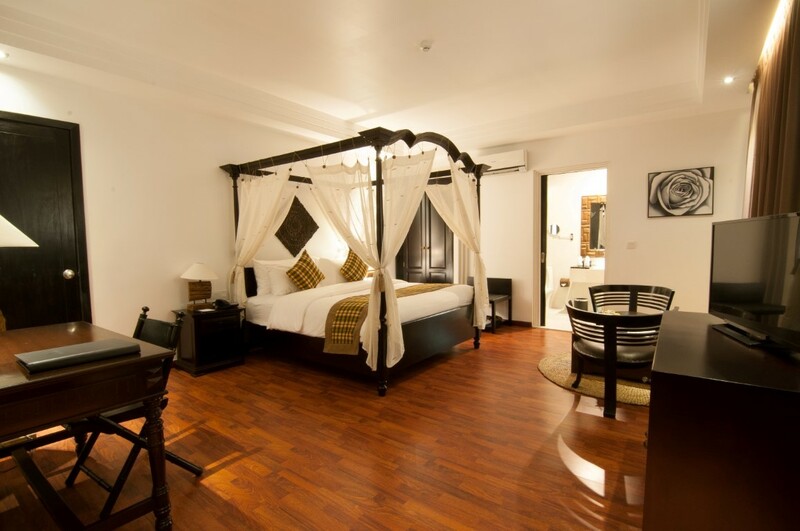 Built in the French colonial style, interiors here combine French sophistication with authentic Khmer accents. The 121 rooms come with hardwood floors, dark wood furniture, all the creature comforts you could imagine — and some even boast postcard river views. With four restaurants onsite, you certainly won’t go hungry. Your only problem will be choosing between live cooking stations and theme nights at La Coupoule, Japanese at Hachi, Chinese at Fu Lu Zu, or Italian at Do Forni. If you’re here for some R’n’R, you’ll be well catered to by the hotel’s extensive wellness facilities. There’s a gym, two squash courts, a tennis court, a pool table, and two pools, along with a plush So Spa for exquisite, restorative wellness rituals. As the only skyscraper hotel in town, the Rosewood boasts incredible 360-degree views from its chic rooftop bar, Sora. This is artsy opulence at its best, as the hotel features an imposing steel-and-glass structure, a cantilevered roof, and its own art gallery. Rooms here manage to be both modern and traditional with sliding lacquer doors, majestic bathrooms with gold flecks, and batik paneling. At Brasserie Louis, classic Gallic fare is on the menu — think vichyssoise and steak tartare — though the hotel also has Japanese eatery Iza, Cut Steakhouse, and all-day dining destination The Living Room. A stone’s throw from the National Monument and the Royal Palace, this charming boutique hotel is a chic blend of Cambodian aesthetics with modern sensibilities. 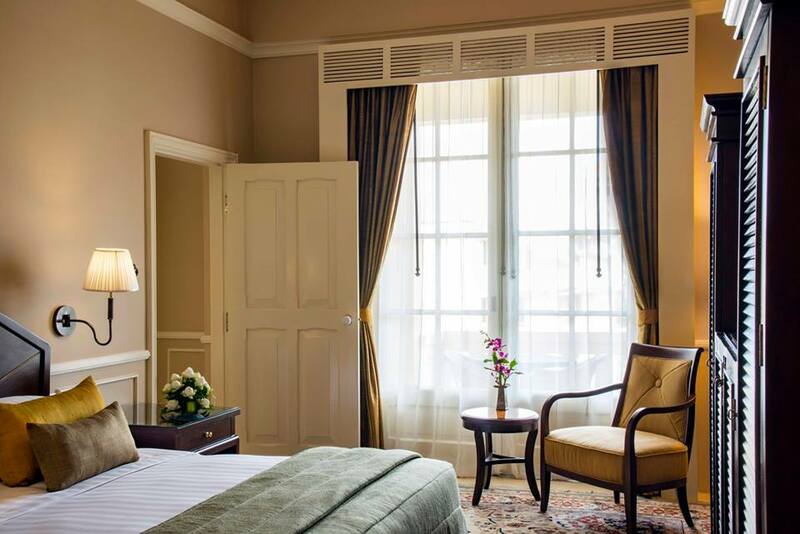 There are 68 rooms spread across two buildings, each of which are stunningly huge and come with four-poster beds, dark wood furnishings, a complimentary minibar — and a complimentary hour-long traditional massage. The onsite Banana Tree restaurant whips up quality Khmer, Asian and Western dishes, while two pools and a six treatment rooms complete the wellness offerings. Staff here are mostly from PSE, an NGO that trains underprivileged kids in hospitality, so the service is good and done with big smiles.